Don't miss the early bird rates! Register today and save. Early bird rates end on April 30. Registration fee includes: Conference Professional Development (up to 11 PDHs); Wednesday networking reception, Thursday learning lunch, and Friday Celebrate Engineering Excellence lunch. NOTE: Optional event tickets can be purchased separately. Registration fee includes: Conference Professional Development (up to 6 PDHs); Wednesday reception and Thursday learning lunch with speaker. NOTE: Optional event tickets can be purchased separately. Registration fee includes: Conference Professional Development (up to 5 PDHs); Wednesday reception and Friday Celebrate Engineering Excellence lunch. NOTE: Optional event tickets can be purchased separately. Cancellation policy: Cancellations must be in writing and received at NSPE no later than July 10, 2019. There will be no refunds after July 10, 2019. A $75 processing fee will be charged for ALL refunds. There will be no refunds for no-shows or on-site cancellations. Refunds will be issued after the meeting. NO EXCEPTIONS. Confirmations: All conference registrations will be confirmed by e-mail immediately following payment approval. Registration payment is required for processing. 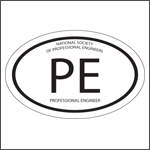 Please contact the NSPE at 888-285-6773 if you require additional assistance.